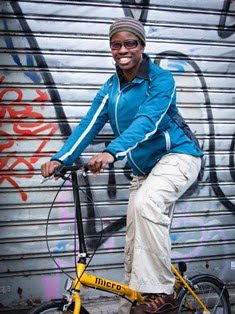 2Wheel Chick: Proud to be a Londoner! 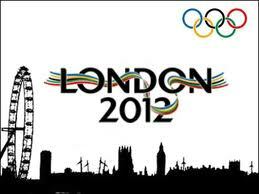 Proud to be a Londoner! I was really glad to have made the trip from Milan back to London for the Olympics. It was well worth it. After all the media circus about concerns over transportation, security, and too many Macdonald's restaurants the games came and went without any significant hitch. The events that I watched live - cycling, athletics, fencing and beach volleyball were really well organised and it looked like alot of thought and detail had gone into the logistics. There were loads of smiling helpful volunteers on hand to welcome folks and point them in the right direction. Even the military and the police, who were drafted in to help with security were very jolly and got involved in the sporting festivities. When I didn't watch events live I went to Potters Fields, a stretch of parkland between City Hall and Tower Bridge. 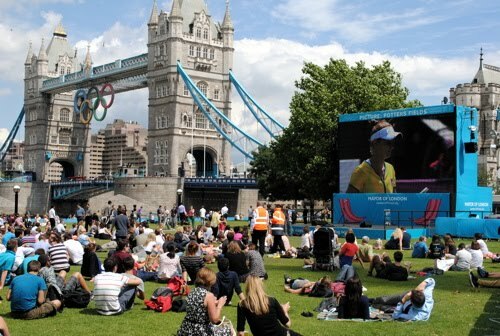 That was a great place to be - sandwiched between iconic landmarks along the River Thames, watching various unforgettable moments unfold on the big screen. There were a few thousand of us there with our picnics and beers, but despite the large number of folks it still felt very initimate and friendly. That's where I was on Super Saturday (4th August) when Jessica Ennis, Mo Farah and Greg Rutherford medalled on the running track. I had also been there the previous day when the goldrush began in the velodrome too. On every occasion during the medal ceremonies everyone in the park stood up to sing the GB National Anthem. That was an impressive sight, considering that many of the folks were younger, not necessarily British, and maybe even republicans! It's true that the spirit of the Olympics has really lifted me. It's not just the sporting prowess, and the pride in seeing GB athletes (particularly cyclists) winning medals, but just the way that London projected itself so positively across the world. I must say that if I were not from London I would certainly want to visit the city, and Surrey as well which featured heavily in the cycle races. The television pictures of all the venues, and the way that many venues had been decked out for the Olympics looked very impressive. 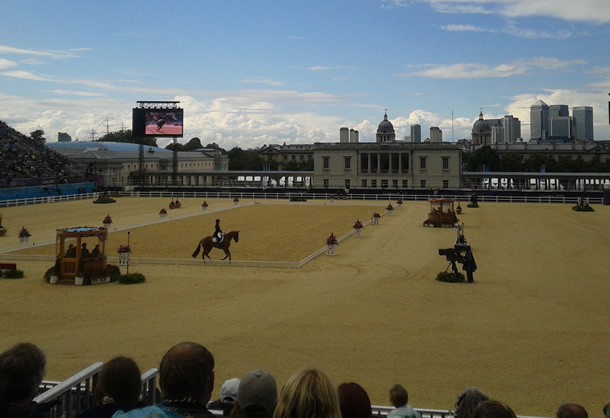 I was really glad to have made it to Horseguards, the Excel Centre and the Olympic Park. Box Hill looked even prettier than usual during the Olympics. 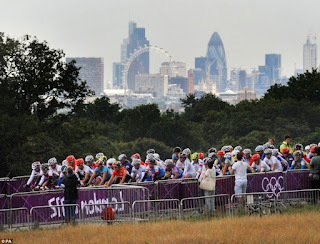 Places which have ridden or run as part of my usual training routine like Hyde Park, Richmond Park and Box Hill looked even more splendid, and it made me even a little emotional seeing them become the centre-stage for the biggest sports contest on the planet! 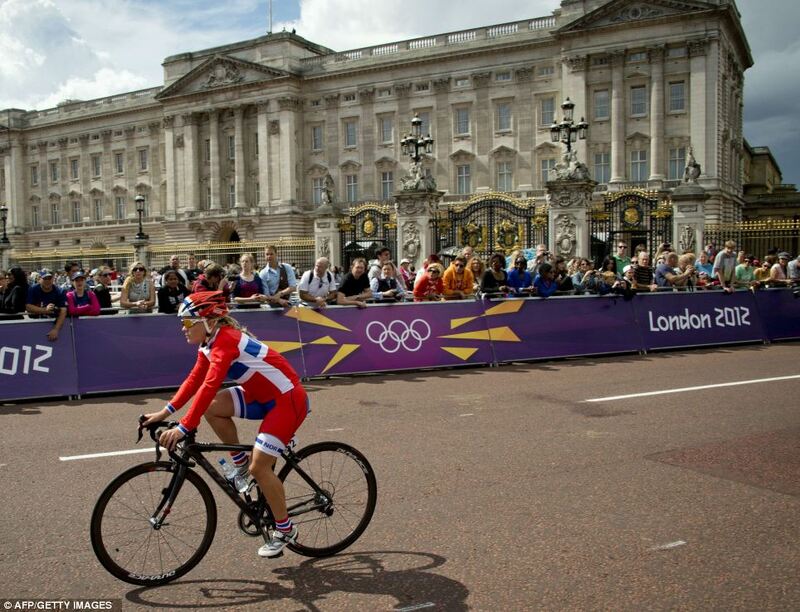 For me, there is no better finish to a race than area of Buckingham Palace and Parliament Square/Big Ben. I can't imagine any athlete not enjoying completing their race on a more regal a street! The one venue I do regret not going to was Greenwich Park. I remember doing a photo shoot there earlier in the year for Cycling Active magazine, and I marvelled over the views of the Maritime Museum, the City of London and the Canary Wharf complex. 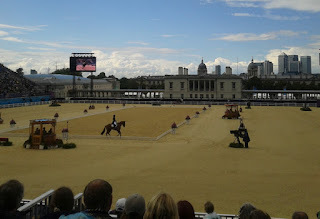 That must have been a great place to watch the equestrian sports and the modern pentathlon. The games certainly inspired me, and probably many others. I want to ride my bike and run more. I'm even tempted to take up fencing! As well as the sporting action, there were various cultural events, exhibitions and concerts that took place in open areas so London also showcased its creative side. Nowhere was this shown more by the opening and closing ceremonies. Our opening ceremony was probably not as lavish as what we saw in Beijing four years ago, but director Danny Boyle showed how we can do things more simply and still give the same entertainment value, just by thinking outside of the box. Even the weather played ball with us. Ok, so we didn't have heatwave weather, and we did watch the beach volleyball in full coats with umbrellas nearby, but the sun came out on the majority of days and the Games were by no means a washout! Overall, the Olympics gave us a 2-week vacuum in which we focused on fun times, friendship and the emotion of pushing yourself and winning. I am also so pleased that London really knocked the spots off other cities by putting on a great show, and Londoners have shown that this place is pretty cool! I wouldn't want to be from anywhere else!